Let me begin with warm congratulations on behalf of the Chinese Embassy on the launch of the British Edition of The Nouvelles D’Europe. 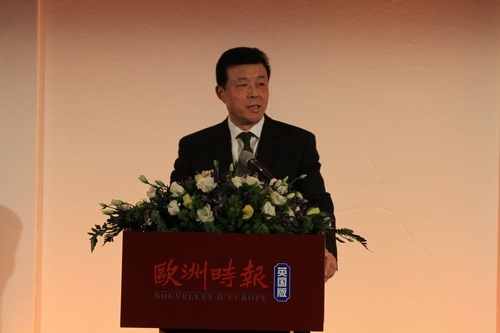 Founded in 1983 in Paris, The Nouvelles D’Europe has established itself as one of the most influential Chinese language newspaper across Europe. It has gained a reputation for the wide span of news coverage on Europe, China and the entire world. More impressively, it has led by example in exercising media responsibility and raising the visibility of Chinese culture and values. In its 28-year proud history, The Nouvelles D’Europe is committed to the solidarity and interests of the Chinese communities in Europe and seeks to deepen friendship between China and Europe. Now, the tailor-made British Version will add to the reach and influence of The Nouvelles D’Europe. This is a commendable step in the context of the fast-evolving global economy and international media. 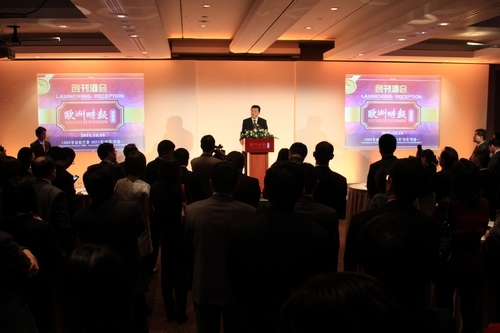 And it will surely raise the voice of the Chinese language press in Britain and Europe. Our gathering marks the launch of the The Nouvelles D’Europe British Edition. We are here to not only celebrate a new start, but also send well wishes to the newspaper. I hope The Nouvelles D’Europe British Edition will keep the following three goals at heart. To chart a successful path forward, The Nouvelles D’Europe British Edition needs to cover the diverse interests of the Chinese communities in Britain with open-minded and insightful coverage. 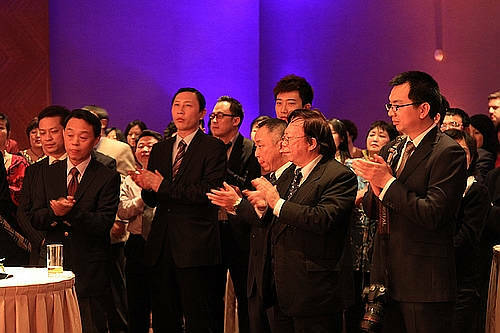 It needs to foster solidarity among the Chinese communities and serve their interests. And it should win recognition as a guide in their life, education and career and establish its place as a must-read newspaper and an indispensible part in their life. Second, provide wide-ranging, objective coverage of China. A rising China has been the subject of unprecedented worldwide attention. But misperceptions and adverse publicity are always there. I hope the The Nouvelles D’Europe British Edition will take an even-handed and fair approach to keep the Chinese communities up to date on China’s progress and build awareness of China’s challenges and opportunities. It should also serve to deepen public confidence in China’s future. China and Britain are both major players in world affairs and our bilateral relationship has gone far beyond bilateral significance. In recent years, the China-UK relationship has been in good shape. Intensive top-level mutual visits, deepened cooperation in commerce and other fields and close people-to-people exchanges have lifted our partnership to a new level. I look to The Nouvelles D’Europe to be a key voice for stronger China-UK cooperation and friendship. And as Mandarin attracts more and more British learners, I’m confident that The Nouvelles D’Europe will be their good friend in Mandarin learning and a window into understanding a modern China. In closing, I wish the launch of The Nouvelles D’Europe British Edition a brilliant success!